Children need to develop fitness capacity in order to have the confidence to participate in physical activity and sport throughout life. Otherwise they avoid the subject and developmental area. Fitness is an education through movement and one of the 6 Key Learning Areas in primary schooling. It involves lessons that address all learning domains; psychomotor, cognitive, and affective. No other area of the curriculum is designed to help children learn motor and lifetime activity skills together. 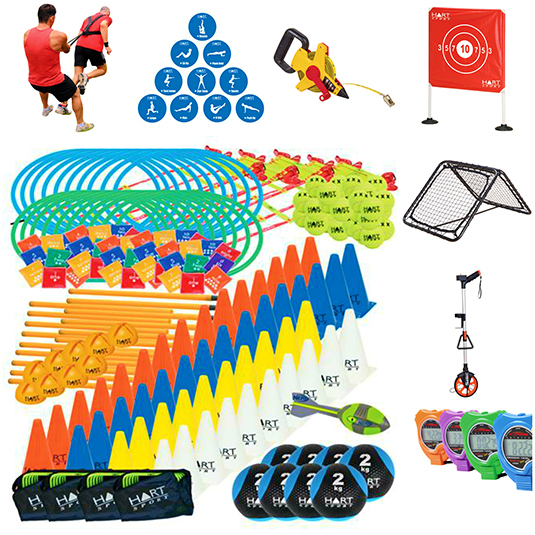 Got Game not only meets these educational needs of the students, but aims to exceed the standards set for primary schools in respect to the NSW PDHPE syllabus by providing innovative programs such as Fitness. This is achieved through the use of game sense and student centred teaching methods, along with professional equipment and instruction specifically designed for primary pupils. Teaching agility, speed, endurance, coordination, flexibility, balance, strength and many more outcomes than your regular PE program. It’s all about improving your personal best each week and becoming a better version of you.